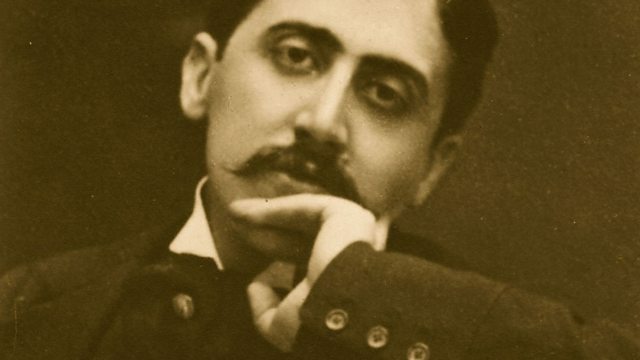 Melvyn Bragg discusses the life and achievements of the 19th century French novelist Marcel Proust whose 3000 page work À La Recherche du Temps Perdu has been called the definitive modern novel. Melvyn Bragg and guests discuss the life and work Marcel Proust whose novel À La Recherche du Temps Perdu, or In Search of Lost Time, has been called the definitive modern novel. His stylistic innovation, sensory exploration and fascination with memory were to influence a whole body of thinkers, from the German intellectuals of the 1930s to the Bloomsbury set, chief among them Virginia Woolf, and innumerable critics and novelists since. But how did he succeed in creating a 3000 page novel with such an artistic coherence? To what extent did John Ruskin influence Proust? Is his fascination with memory and recall simply a nostalgia for the past? And what impact did he have on the 20th century novel? With Jacqueline Rose, Professor of English Literature at Queen Mary, University of London and author of Albertine; Malcolm Bowie, Master of Christ’s College, Cambridge and author of Proust among the Stars; Dr Robert Fraser, Senior Research Fellow in the Literature Department at the Open University and author of Proust and the Victorians. They don't make them like they used to.. .